Rail vehicles transporting goods, services, or passengers present a unique challenge to clean or decontaminate. With over 40 years' experience cleaning railway vehicles worldwide, Westmatic is proud to offer train wash solutions right here in the U.S., customized to fit your fleet size, configuration, and wash schedule demands. Our train wash systems are comprised of modularly designed operating functions and are available in drive-through models, gantry models, or combination "hybrid" models. Systems are available in a brush configuration, touchless, or a combination of both. Brush pressure is constantly monitored and driven by high-efficiency electric TEFC motors. Current sensing relays allow our intelligent brush configurations to sense and adapt to different vehicle contours and shapes. This provides for an incredibly thorough wash result and unprecedented cleaning ability. 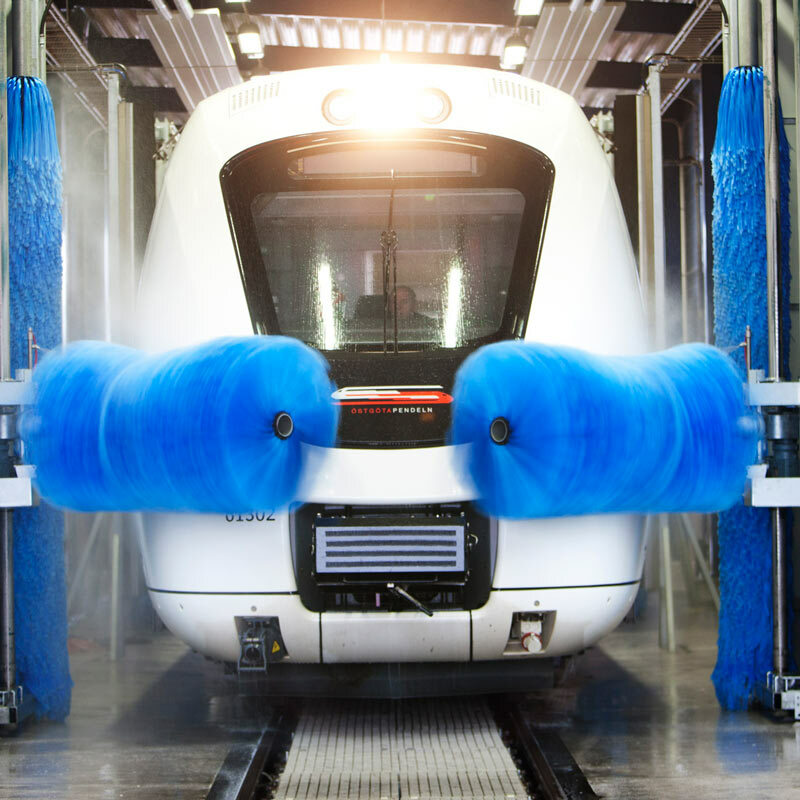 Westmatic's train wash systems are unique to the industry as our brushes can wash the front, eaves, and rear of the train several times (during one wash cycle). Our Twin Line wash system can be installed to wash the train entering from either end of the wash bay (bi-directionally).